John Bell’s “Mailer Ninja” is a free tool designed to make scheduling all of your safelist and viral list builder mailings easier. Mailer Ninja is very easy to use. 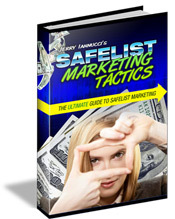 Simply add the safelists and viral list builders that you use and add a few email ads that you want to send. Every time you login to the Mailer Ninja site you will be greeted with your next scheduled mailing along with your ad copy ready to be copied and sent. Click the banner below to join Mailer Ninja. It feels like safelists and mailers have been getting a lot more attention recently. Even compared to just a year ago. It seems that more and more people are finding out what a powerful advertising medium they can be and I couldn’t be happier. Last month saw the release of another new viral list builder called List Viral. It was launched by Matt Baker with a little help from the guys at TimTech. If you are a member of List Nerds you will notice the similiarities right away. The design is simple and proves that you don’t need to have a million complicated options to get good results from a mailer. The other big launch was the new social networking site from Darren Olander and Matt Koskho called Marketing Checkpoint. This one is a little more than your typical mailer. It’s a full fledged social networking site. Sorta like Facebook for Internet marketers. Members can earn “activity points” by being active within the community and those points can then be used to send ads through the mailer. The mailer is still offline until June 14 so that they can build up their membership first. It’s still definitely worth joining Marketing Checkpoint now. There are some great discussions going on about safelist marketing and it’s a great place to get know your fellow Internet marketers in a social environment. Here’s how it works. Every day I submit my ads to 40+ safelists and viral list builders promoting splash pages for my own Mister Safelist. 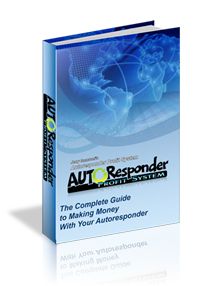 I am upgraded at most of these sites which typically allows me to send my ads more often than free members. I also spend time every day reading emails for credits which allow me to send my ads to as many people as possible. The stats below are the result of my own marketing efforts and your results will probably vary. A bit of a light month for me. I think I have identified a few problems with my campaigns and will try focusing on my higher converting splash pages to see if that helps to increase my results for next month. Don’t forget to join Marketing Checkpoint if you haven’t already and come get involved in the safelists discussions. We would love to hear your thoughts. As always the stats above are only provided to show what is working best for me. What works best for you might be something entirely different. The only way to know for sure is to track your own results. You can get the same link tracker I use from trck.me.